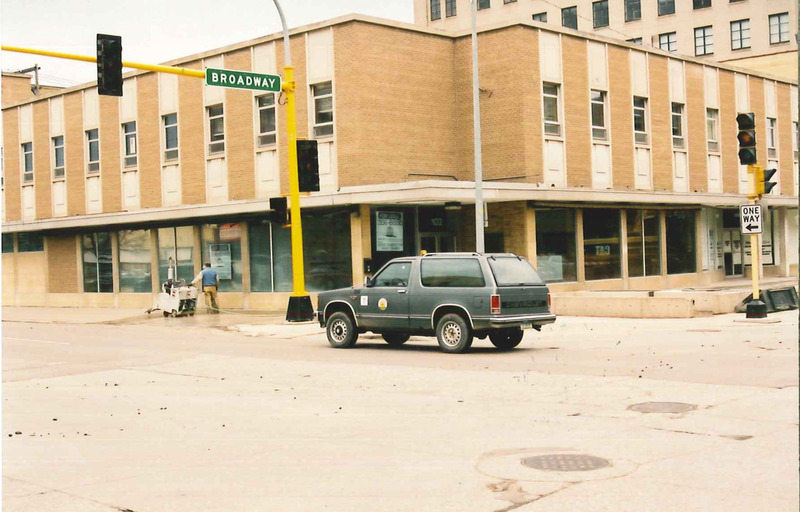 Located on the bustling corner of First Avenue and Broadway, 102 Broadway is at the epicenter of downtown Fargo’s business, shopping, housing and entertainment opportunities. 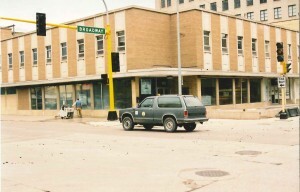 102 Broadway currently houses several office tenants in its second-floor office space. The office space includes much natural light, underground heated parking, nearby convenient surface parking and an eco-friendly “green roof,” which is perfect for small gatherings. The green roof has been used in the past as a flower, herb and produce garden. Smiling Moose Deli, Polished, Your Day by Nicole, and Halberstadt’s. 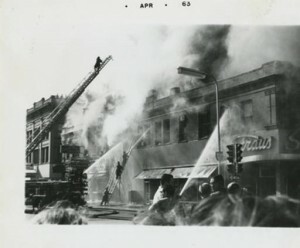 The Huntington Block Building, the original structure at this location, was destroyed by fire on Easter Sunday in 1963. The current structure, commonly known as the Straus Clothing building, was built in 1964. Kilbourne Group purchased the building in 2007 and has made numerous renovations, including new windows, awnings and additional storefronts along Broadway and First Avenue. The entire interior has been updated with new mechanical and electrical systems and interior finishes.